Base on logistics, Android OS is the most popular OS globally now with millions of users. 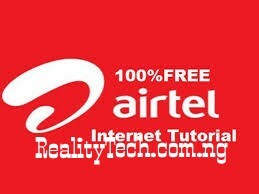 However, to get total control and to unveil all the hidden tricks of any Android device, you must root it. But rooting is getting a little bit harder this days especially for newbies because of new Android versions which now requires the use of custom recovery tools and PC in order to root them unlike before when one can easily download certain apps such as Kingroot and co to root their devices. 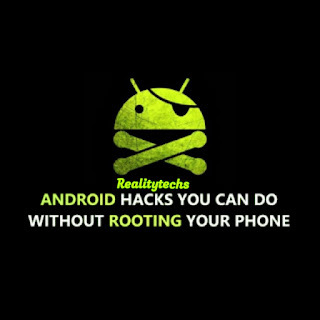 Well, I will show you some amazing hacks you can do on your Android device without rooting it. Despite all the advantages of rooting, there are also some major disadvantages like giving untrusted third party unauthorized access to your phone. 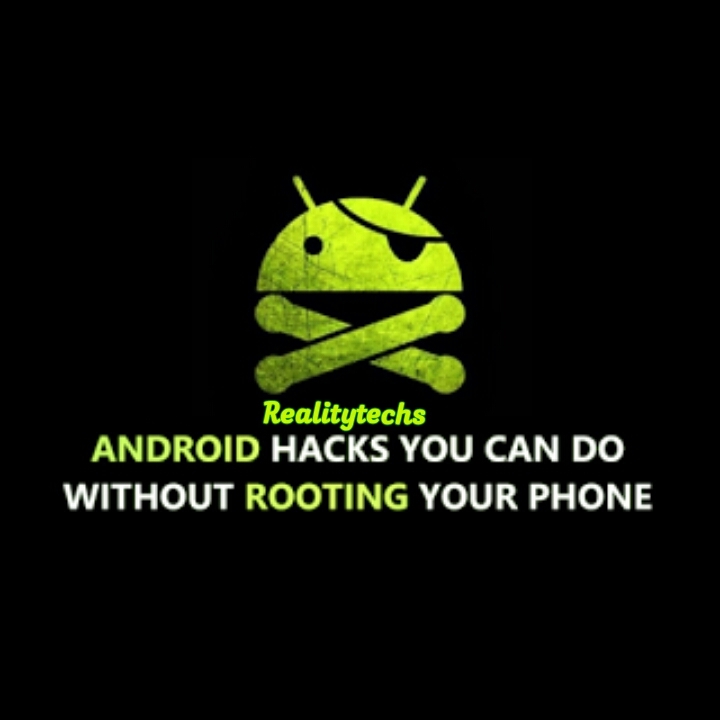 Rooting also automatically voids your phone warranty and the most importantly, it can render your phone useless as a result of Bricking if not done rightly. Having said that, Android developers are now smarter and have started adding some of those features that tempts people to root their devices in the past. Now you can have more control of your Android device without rooting as long as your phone is running on Android 6.0 Marshmallow and higher versions. Newer Android OS is fairly customisable enough to allow you do lots of things without needing to root. After reading this article, you can start exploring some basic tweaks and tricks on your phone with the phone's security and warranty still intact. Are you ready? Oh yes. Your guess is as good as mine. Below are the things you can do on your Android device without rooting. You can reconfigure the navigation button on your phone to suit your style. This can be achieved with the help of an app called Home2 Shortcut. With this app, you can assign various shortcuts to your navigation buttons. This helps you access your favorite apps from any screen with ease. Some years back, this was a big task but Android developers added the screen recording API capabilities to Android 5.0 lollipop and higher versions. Some smartphones like Gionee M6 now even come with screen recorder pre-installed. But if your Android device didn't come with that app, you can instal AZ Screen Recorder. The app allows you to record your activities on your phone seamlessly. It comes with some interesting features such as a countdown timer that work together to make recording your screen a very pain-free experience. It integrates with the phone’s camera and you can even draw on the screen during videos. While other screen recording apps only offer basic recording functionality, AZ Screen Recorder lets you edit and trim videos right inside the application. Yet another Android hack you should try out on your phone. By using Google’s 'Remote Desktop app', you can control your PC remotely with your Android smartphone. In addition to installing the app on your phone, you also need to install and configure the Chrome app on your PC. To do this install Chrome Remote Desktop on your PC first. Then After Chrome Remote Desktop is installed, you will be prompted to provide a 6-digit PIN. Remember this number because you will need it to access your computer from your Android device. The next step is to install Chrome remote for Android. Launch the app, tap on the name of the computer/PC you configured and you are good to go. You could set up a trusted location, where your phone remains unlocked. This feature varies among devices, but the most important thing is that you don’t need a password to unlock your phone in these trusted locations. Just be there. To activate this feature, go to Settings > Screen Lock > Smart Lock. You can make your phone more appealing to your style by customizing the widgets the way you want it. You can even create your own shortcuts and theme colors. One of the apps that will help you achieve this is called Beautiful Widgets and it's available on google playstore for you to download. This might sound weird but trust me, you can use your smartphone as a heart monitor. However, it’s not as accurate as a real heart monitor used by doctors. But it's a cool feature you would like to try out. This is how it works, the technology makes use of your phone’s LED flash to track color changes under your skin and monitor the amount of blood that flows through it. Isn't that awesome? You can download heart monitor from playstore. DPI stands for "Dots Per Inch" which technically means printer dots per inch. You can tweak and change your Android phone's DPI without rooting by following the below guides. ✔️ Enable USB debugging from Settings> Developer Options. If you’ve never enabled Developer Options before, you’ll first need to go to Settings> About Phone and then tap on “Build Number” 7 times. ✔️ Download and install ABD drivers and minimal ADB for Windows. After installing Minimal ADB, a command prompt will open up. Leave it open for now. ✔️ Connect your Android device to the PC. You may get a prompt asking you to authorize the PC for debugging, and you’ll want to tap Ok. Note: where “DPI” is listed, replace with the value you’d like to use. A lower DPI means more information displayed on screen. A higher DPI will do the opposite. Like S6 Edge you can also use the same interface on your android device using a cool launcher Edge Display that is available for all the android device. This will complete customizing your android device and make your android look cooler. So must try this app and customize your android today.